Small, but mighty—yes, Malta may be the world’s tenth smallest country, but it’s also the fifth most densely populated. 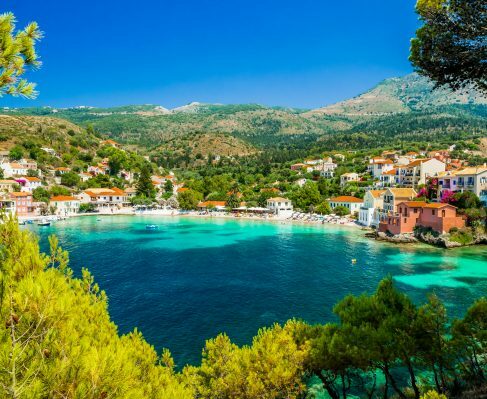 This daunting, yet petite Mediterranean archipelago has been the subject of centuries-long clambers for its control. With each grab for power branding deep-rooted impressions into Maltese culture. Today, Malta is its own republic, having finally been granted independence by the British in 1964, but its long history spent under the enforced leadership of other nations has engrained inescapable influences made apparent in Maltese culture, cuisines, architecture, traditions, and the artifacts left behind from each conqueror. 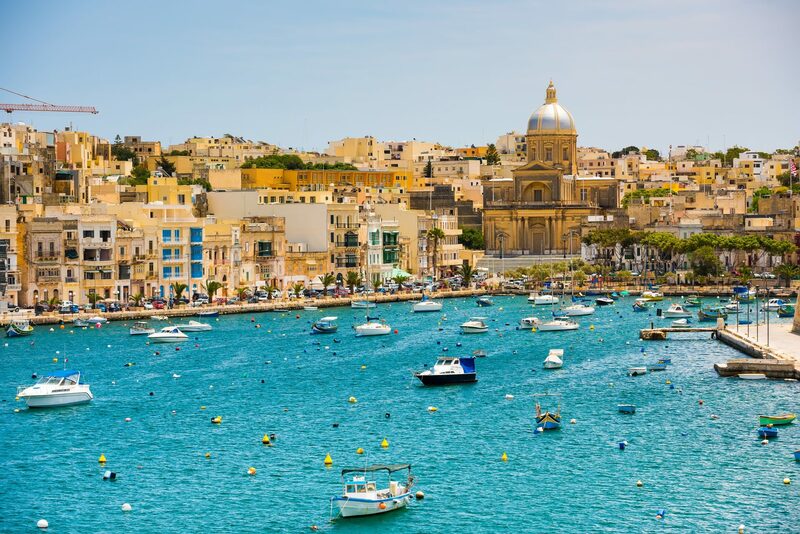 The reason Malta has been so irresistible to power-hungry nations is its prime location, tucked in the Mediterranean Sea just beneath Italy, making it the perfect spot for a base of naval operations, trading, and military stronghold. For visitors, the island country’s jam-packed history is embedded in its hundreds of cultural attractions, making for a rewarding and full journey through the small archipelago. Malta in its own right, however, is simply stunning. Take in the grandness of Malta at its capital, Valletta, a surprisingly vast city, and as unique as a thumbprint, where each line and indentation is left from the clash of cultures of ruler’s past. The city, Baroque in character, is not without elements ranging from Mannerist, Neo-Classical, and Modern. Most notably is Saint John’s Co-Cathedral, a trick of the eye with its simple, façade of an exterior, shocking newcomers with its dramatically ornate interior. Gold ceilings, intricate altarpieces, meticulously crafted statues, complete with nine elaborate chapels. Former British Prime Minister Benjamin Disraeli once described Valletta as “a city of palaces built by gentlemen for gentleman.” The sentiment still holds true, especially in Valletta’s sights like the Grandmaster’s Palace. Built in the 1570s and now home to the President of Malta. But more of Valletta resides in the art collections in the Museum of Fine Arts housed in a Rococo palace. Gozo, the rural, hilly neighbor to Malta, is the second largest island in the archipelago and home to some of the world’s oldest freestanding structures. Visit the iconic Calypso Cave, the quiet beaches of San Blas and Ralma Bay. While visiting Gozo, one can one experience Carnival, a festival with feasts, long-prevailing traditions, fireworks, band music, horse racing, and concerts. The celebrations ring out across the island all throughout the summer months in honor of the patron saints of each village. Witness Ġgantija, an expansive Megalithic Temple that predates the pyramids of Egypt. This Neolithic structure, whose name means “Giants’ Tower”, is actually comprised of two temples and an incomplete third, built of stacked, steel-gray stone, an impressive site considering the fact that these temples were constructed before the invention of the wheel. Ġbejna tan-nagħaġ is a must. The native word is a mouthful, but the food itself is a small bite. The translation, for English speakers, is cheeselet, a delicacy in which Gozo specializes. Traditionally, these cheeselets are made by methods of salt curing, peppered, or sundried – giving the cheese a similar consistency to mozzarella. Ġbejna tan-nagħaġ can be the starring ingredient in soups, an essential element to Maltese pastas, a delectable pizza topping, or simply enjoyed on their own. Malta must impose the adjective blue in its two sights of the Blue Lagoon and the Blue Grotto. Frankly, there’s no better word to describe these natural astonishments. The Blue Lagoon is the electric blue water near the uninhabited island of Cominotto, a spot seemingly created for snorkeling, swimming, and long walks on its white sand beaches. Alternatively, the Blue Grotto has deeper, sapphire-blue waters, framed by gray-white formations that take shape as groups of secret sea caves. Boat trips through the Blue Grotto will gift you some of Malta’s best sights. Ħaġar Qim is an impressive, still-standing ancient temple with a history dating back to 3200 BC and truly is a masterpiece and climax of our human story. Similarly, there’s the excavated sight of the Hypogeum of Ħal Saflieni, commonly dubbed the Hypogeum, literally meaning the underground in Greek, referring to its purpose as a multilevel burial chamber. More recent ruins reside in scenic Ramla Bay, among its reddish-gold beach you can find the remains of a Roman villa, but also some of Malta’s best restaurants. Rise with the gorgeous, warm morning in Malta and head to the sun dappled Dingli Cliffs, or stop by Casa Rocca Piccola, where you can explore an extravagant palace with over fifty rooms once home to a noble Maltese family in the 16th century. Or visit Ċirkewwa, an ocean harbor fit for a charter and ideal for scuba-diving adventures. 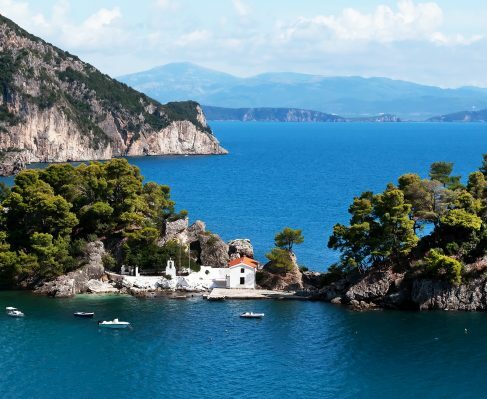 There’s also Golden Bay, an island inlet as close to perfection as one can get, with a stunning beach, tall, rocky cliffs, and shallow waters for swimming. The petite archipelago of Malta leaves a crater-sized impact in terms of its diverse history that dot the phenomenal landscapes. 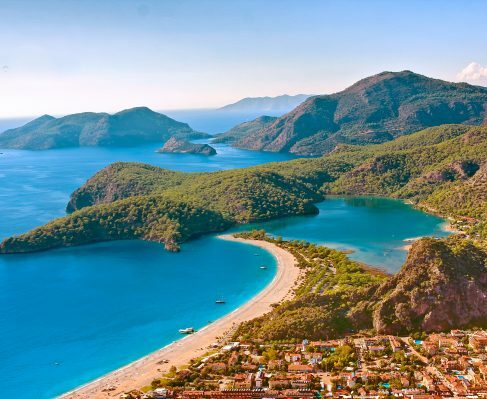 The culture here is a melting pot with ingredients contributed by the varying rulers hailing from an array backgrounds, leaving their mark on the cliff sides, cities, grottos, and caverns in the form of ancient ruins and existing structures. Malta will leave you with a powerful glimpse of early humans to our modern day, thriving society, all set against its stunning Mediterranean setting.